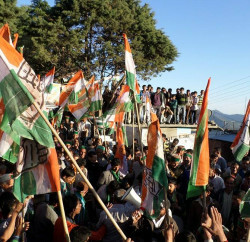 Himachal Pradesh Congress is all set for fresh PCC Elections. The All India Congress Committee’s Central Election Authority has decided to hold state organizational election in five stages. 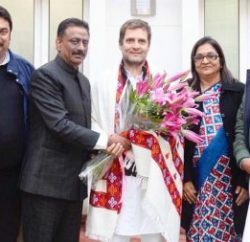 State Congress Chief Spokesperson Naresh Chauhan revealed that in first stage, membership forms would be submitted with PCC for which last date has been fixed at May 15, 2015 and by May 15 to May 25, the first list of names of eligible candidates along with Congress members would be issued. 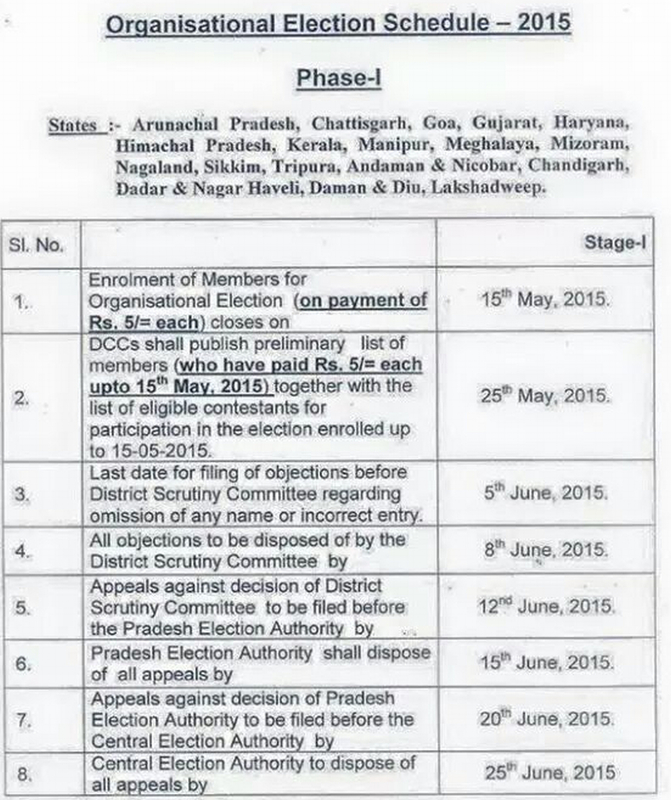 Party workers can file their objections with District Scrutiny Committee till June 5 and the Committee would take decisions on the objections by June 8, 2015 and if anyone has any objections against the decision of District Scrutiny Committee, he can file complaint with State Election Committee till June 12, 2015. The State Election Committee would redress the objections by June 15 and even if party workers aren’t satisfied with the decision, they can file their complaint with Central Election Committee which would dispose off all the objections by June 25. 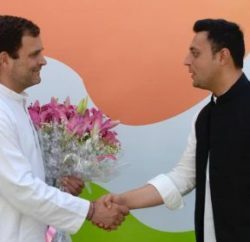 The District Congress Committee would issue the final list of Congress members by July 5 and the elections of Booth and Block level officers would be held from July 10-15, 2015. 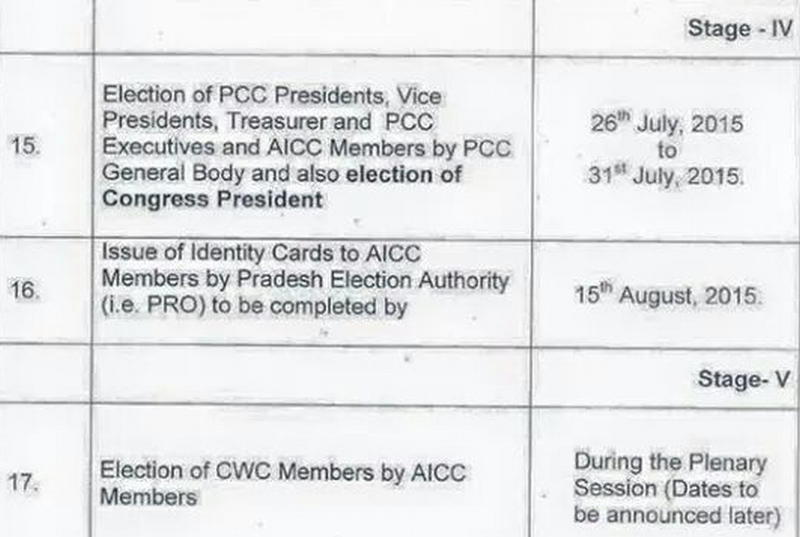 In second stage, the elections for BCC President, Vice President, Treasurer and for electing six DCC representatives and one PCC member would be held from July 16-20, 2015. 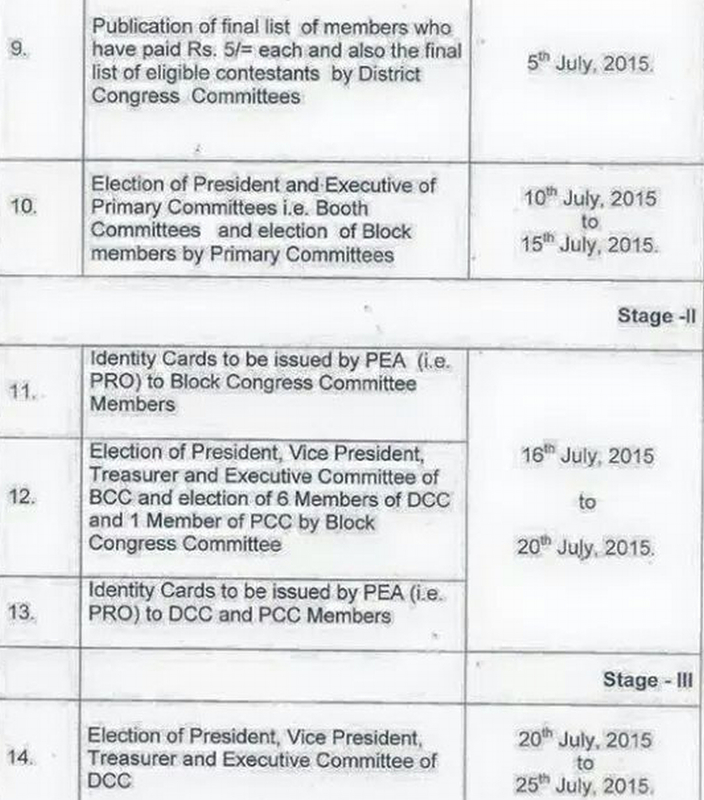 In third stage, elections for District Congress Committees would held in which President, Vice President, Treasurer and other office bearers would be held on July 20-25, while in fourth stage, July 26-31, 2015, election for President, Vice President, Treasurer, other office bearers and AICC members would be held, while in fifth stage, members of ‘Congress Working Committee’ would be elected. 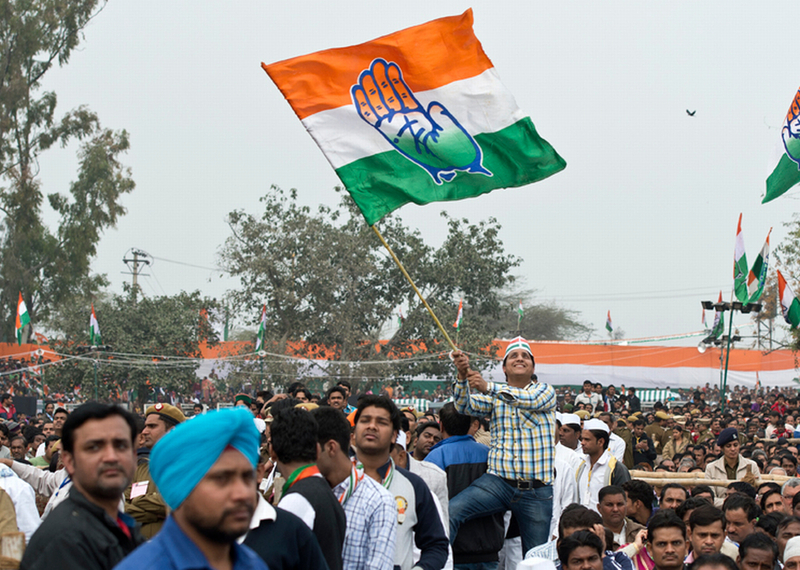 Along with Himachal Pradesh, AICC is holding organizational election in twelve states and six Union Territories, i.e. Arunachal Pradesh, Chattisgarh, Goa, Gujarat, Haryana, Kerala, Manipur, Meghalaya, Mizoram, Nagaland, Sikkum, Tripura, Andaman & Nicobar, Chandigarh, Dadar & Nagar Haveli, Daman & Due and Lakshadweep.